This week, I get to catch up with botanical artist Heidi Willis to hear about all of her latest projects and travelling adventures. Today, Heidi discusses what it is to be a professional painter and illustrator in the 21st Century and how our work affects the choices we have to make in life Heidi is well known for traveling extensively in her search for inspiring remote habitats and teaches globally. 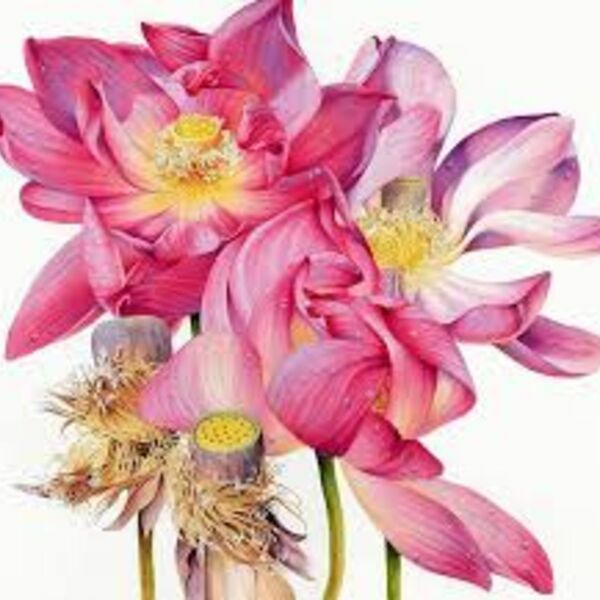 Heidi Willis is an entirely self-taught Natural History watercolour artist. Her reputation as a leading natural history, wildlife and botanical artist is well established and her meticulous and intricate studies of botany and birds can be found in significant public and private collections around the world. For the first few minutes, we are taken to a small village near Santa Fe in Spain. It's Sunday and the Church bells are ringing. I am continuing to play around with sound and the different effects you can achieve with field recording. I view these segments very much as one would an audio sketchbook. The short mixes form the preliminary work that will influence the direction of the final audio component of my latest project on the Blue Flower.